Alright, here is a vaguely related late Valentine's post. 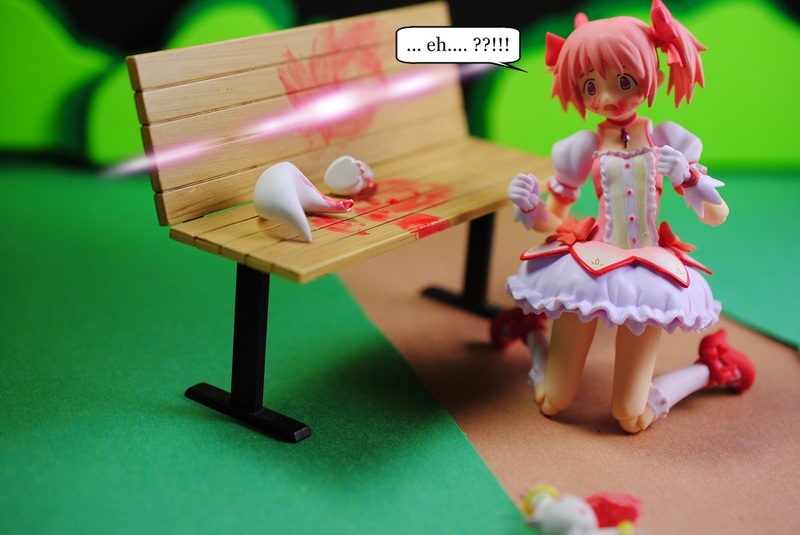 No, no, no Madoka, Kyubey is not the right person(?) to ask for advise about anything. 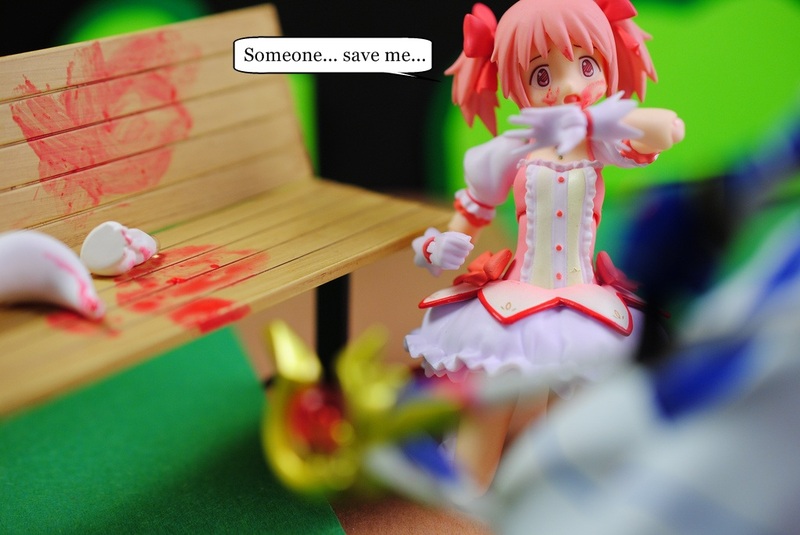 Ok, this is totally made to pander to all those Kyubey hating folks. I hope you like it. 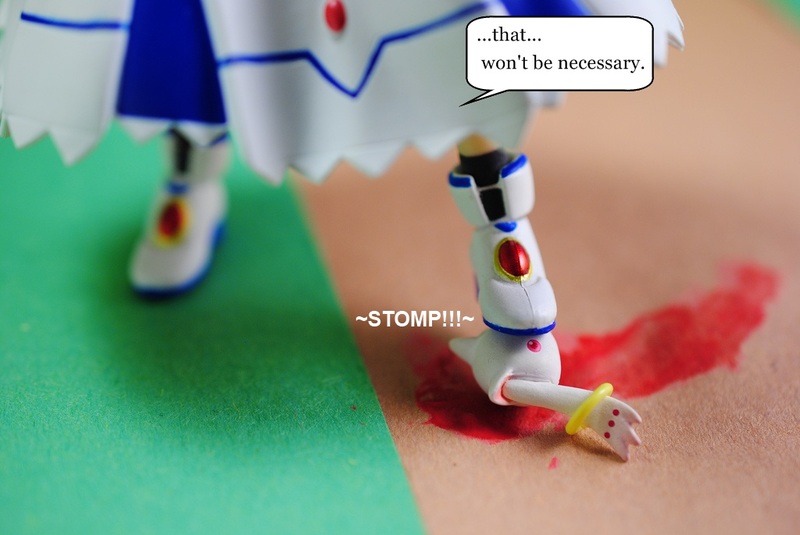 I love it when Nanoha stomps things. Just like she did when she blasted Quatro away on StrikerS. 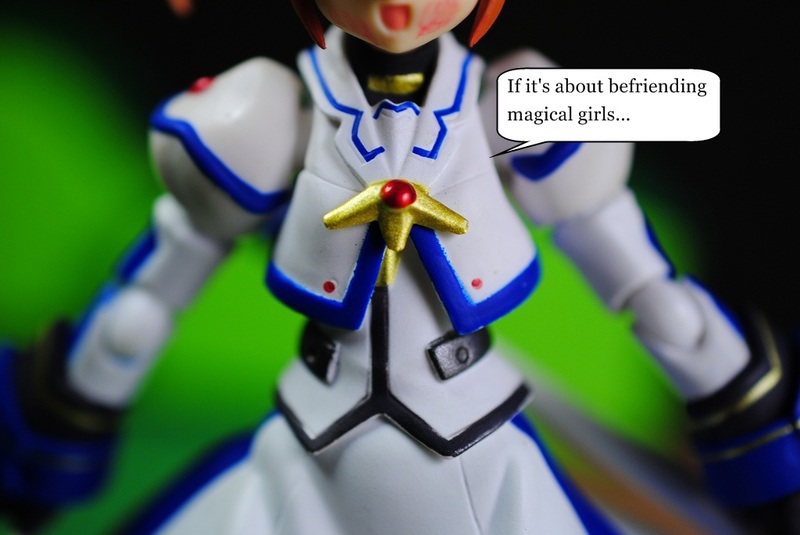 Yes, if anyone is an expert about befriending magical girls look no further. 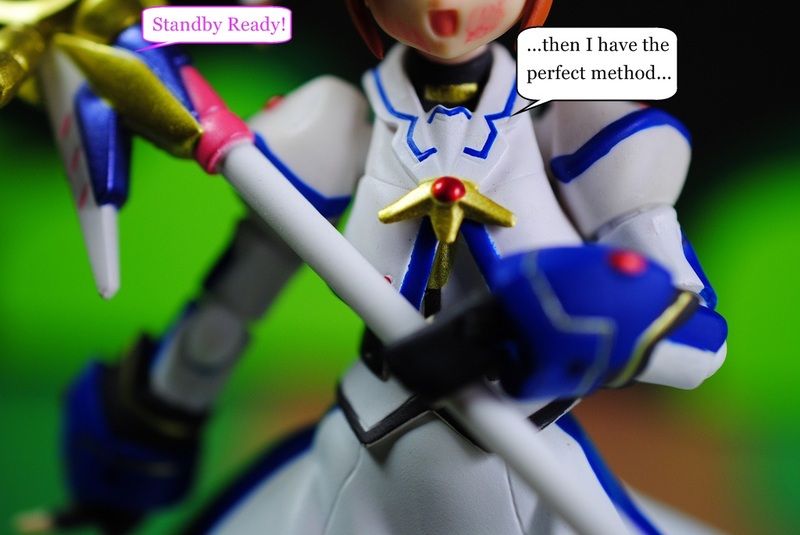 Everyone knows about Nanoha's interesting way to "befriend" correct? 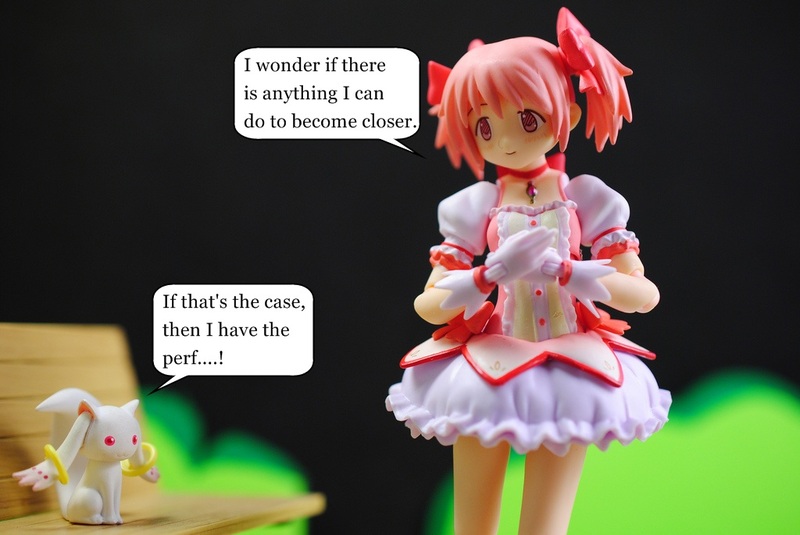 Sorry Madoka, you are not Madokami yet to go save yourself or something... I guess? I don't know what I'm saying. 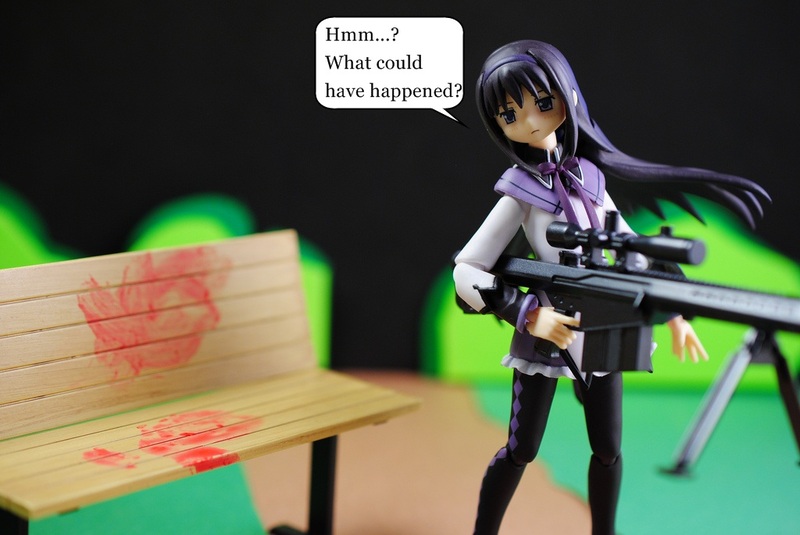 Do you really wanna know what happened there Homura? Alright, who didn't see this coming? 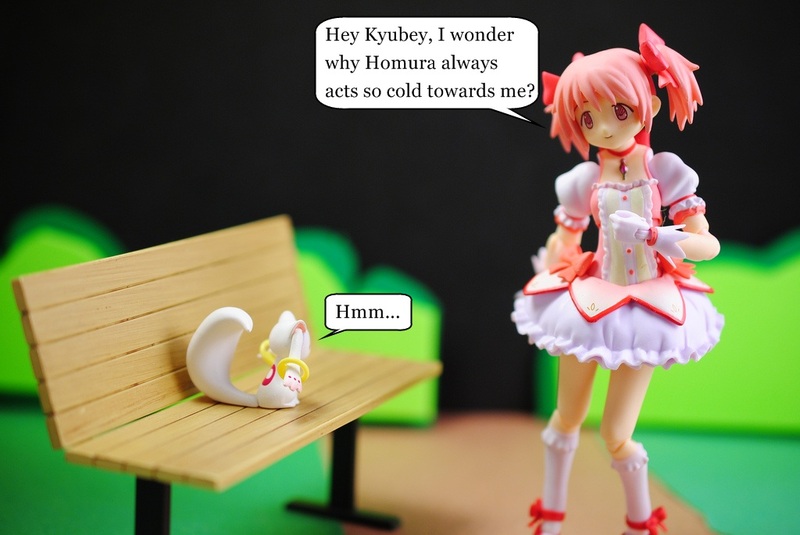 I mean, Nanoha and befriending, teaching Madoka about it. 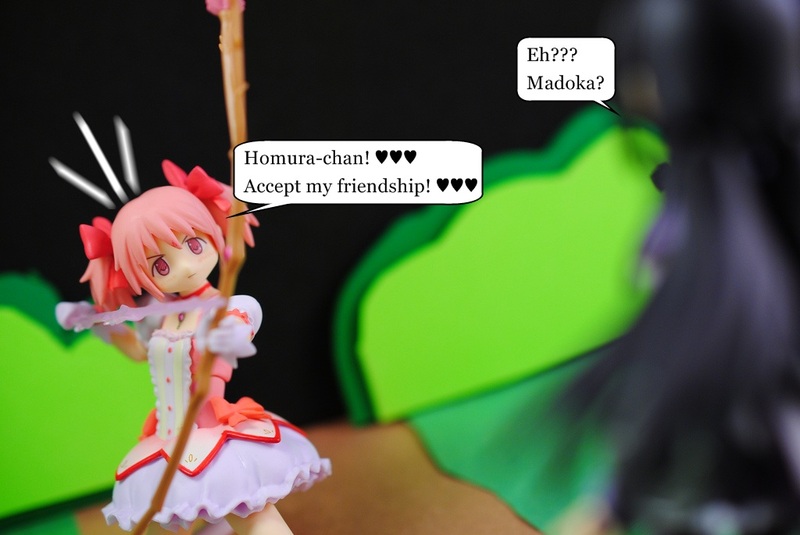 Well, finally got to do this, been wanting to do since I knew there was gonna be a Madoka and Homura figma. Somewhere along the line I got this idea into my head, so I am satisfied to finally getting it done. Until next time, don't forget to subscribe to the RSS feed for more posts.